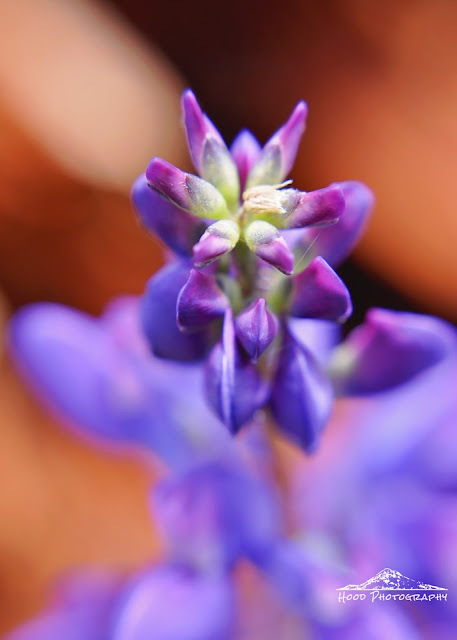 Lupine is a very common wildflower in the Mt Hood area. It varies from large, 2 foot tall plants boasting huge columns of bright purple, bluish or white flowers, to shorter, more bushy plants that only have small clumps of blooms. This was one of the latter, and I concentrated my lens on the tip of the flower, where the buds had not quite opened yet. That photograph brings the very best out of Lupine and out of the colour blue. Pretty shot! I love lupine. Close enough to be blue. Thanks for sharing. Such a beautiful perspective of this delightful flower. Gorgeous photo.